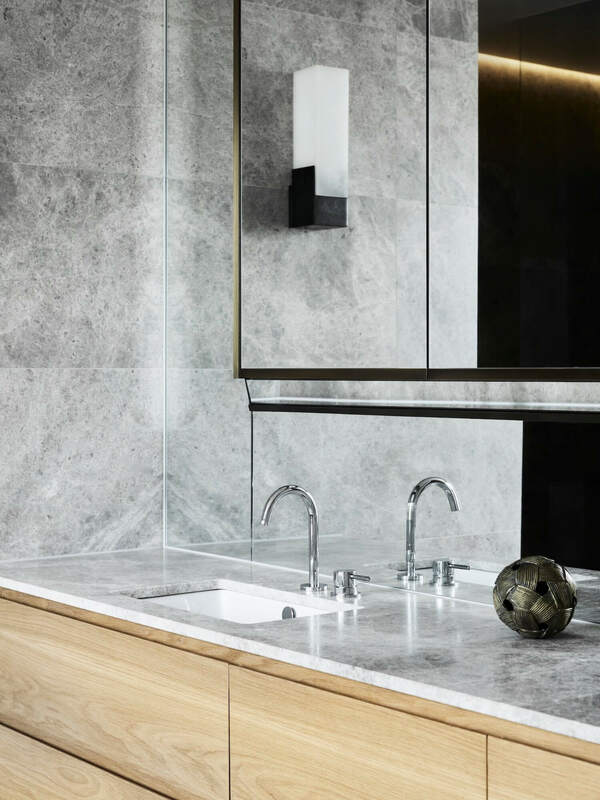 Watts Studio introduce us to a downsizer’s boutique apartment where no luxurious detail has been spared. We were first drawn to the work of Watts Studio for their refreshing take on family living and one very memorable window seat in their Rose House. So we couldn’t be happier for their work to cross our desk again – this time in the form of an apartment overhaul. 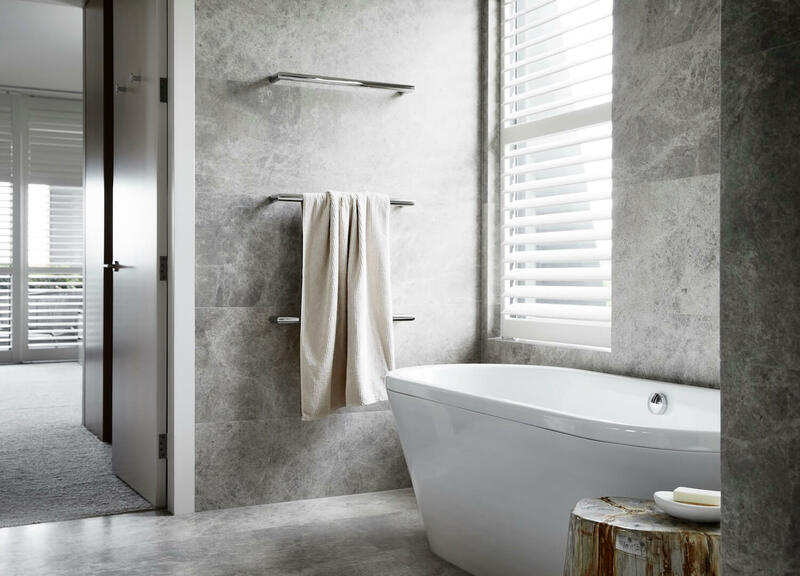 Domain House’s design journey began with the owner’s request for a ‘modern update’. 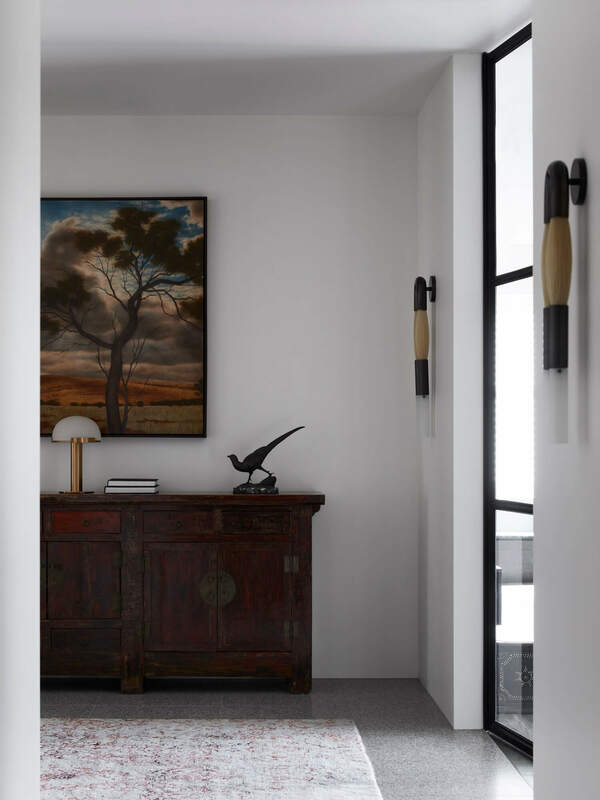 But as the owner along with the design team at Watts Studio realised the potential of the apartment, the process soon escalated to a complete refurbishment. 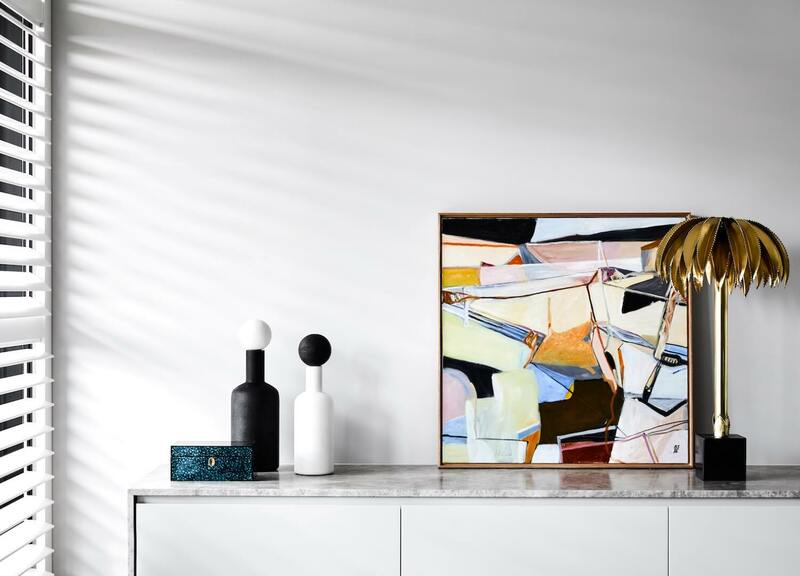 Stripping the apartment back to its bare bones, Watts Studio have included all the winning aspects of a larger home and matched them with an esteemed line up of art and objects. 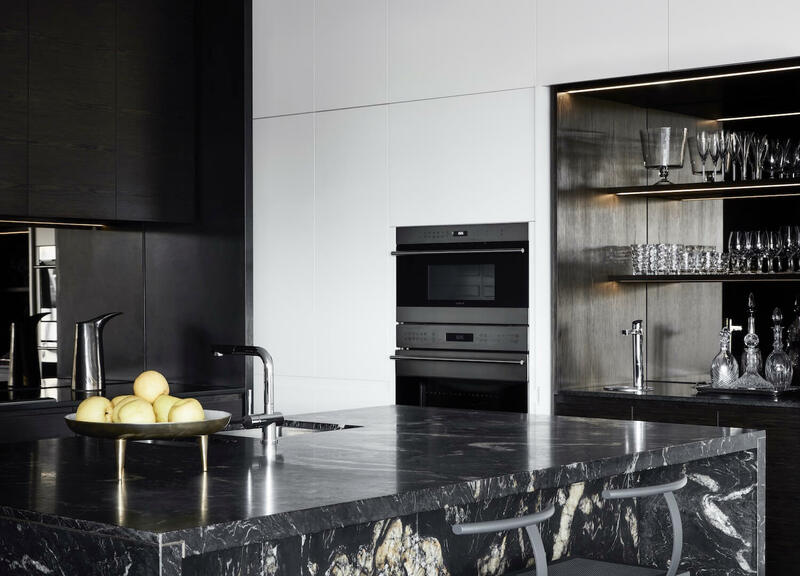 The kitchen features Titanium Gold Granite and Black Granite from CDK Stone, Smoked Ash Timber Veneer by New Age Veneer, a Bronze Mirror splashback and Driade Sarapis Stool by Philippe Starck. The existing four straight walls and low ceiling height weren’t exactly an ideal environment to draw inspiration from. 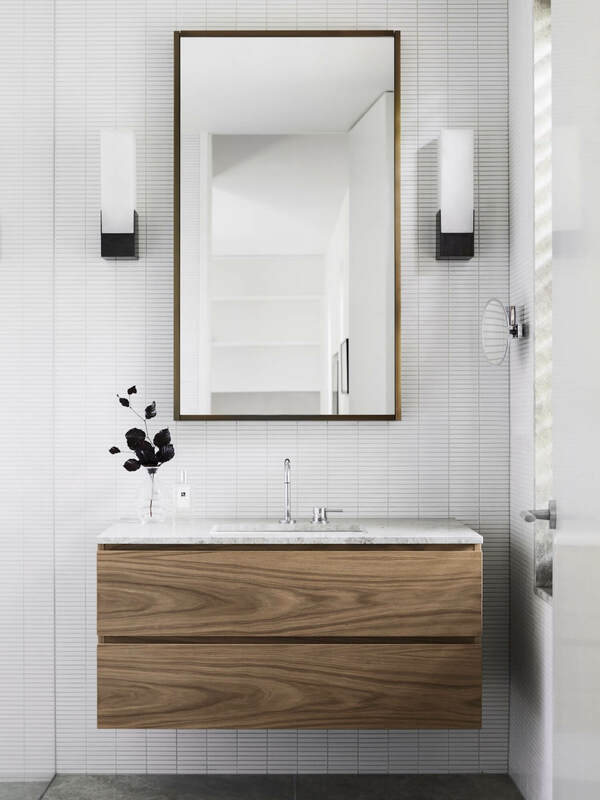 Watts Studio combatted what could be considered an architecturally dull space with layers of texture and rich tones to create a refined ambience. 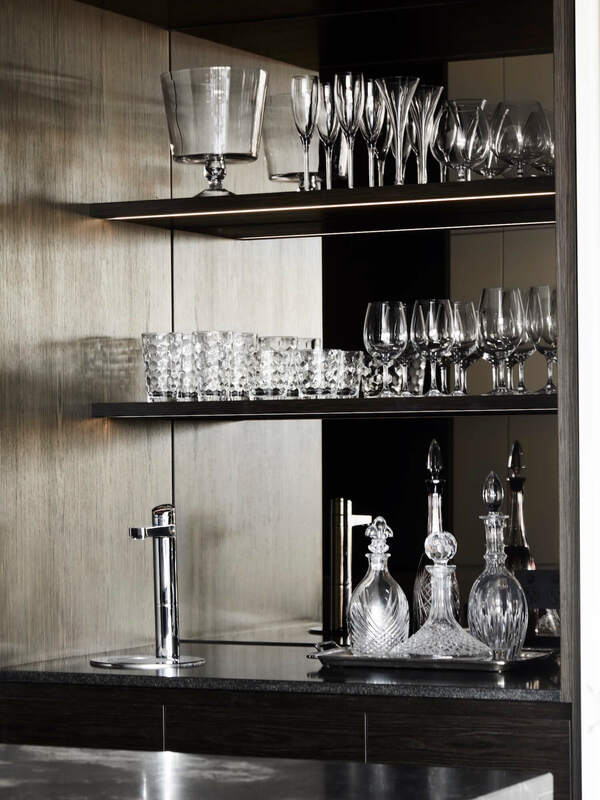 The intention was to have the mood differ from room to room but to carry the same sense of sophistication – revealed through all of the bespoke elements. 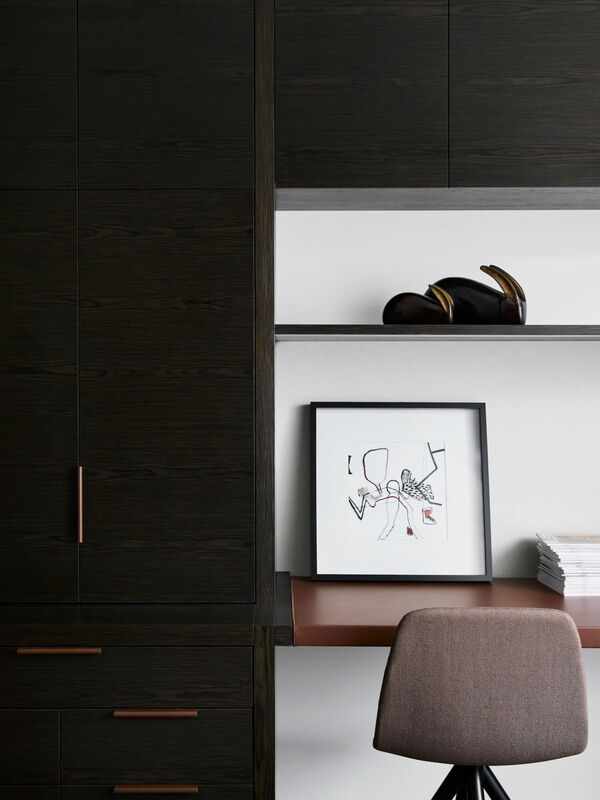 The custom designed joinery is integrated throughout, so with all of the available storage, it didn’t, in fact, feel like the owner was scaling the size of their home. 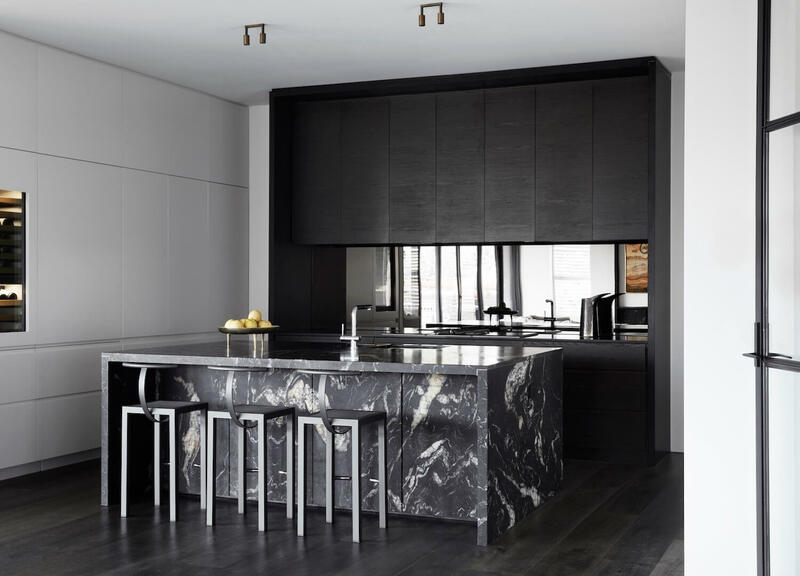 As Watts Studio describes, “We utilised every available nook and cranny with hidden compartments into joinery and wall cavities.” Topping the joinery in the living space is opulent stone sourced from CDK Stone, echoing the moody palette of the kitchen. Lighting is a sure standout feature in the Domain House. 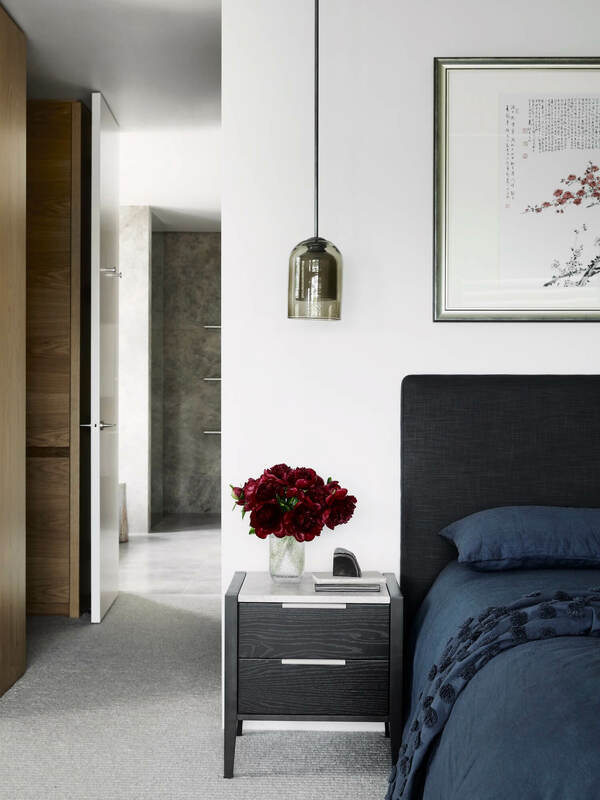 From the Apparatus Horsetail Wall sconces either side of the steel frame doors to the Articolo Lumi Pendant in the bedroom, Watts Studio has ensured these fixtures feel like an extension of the art collection. 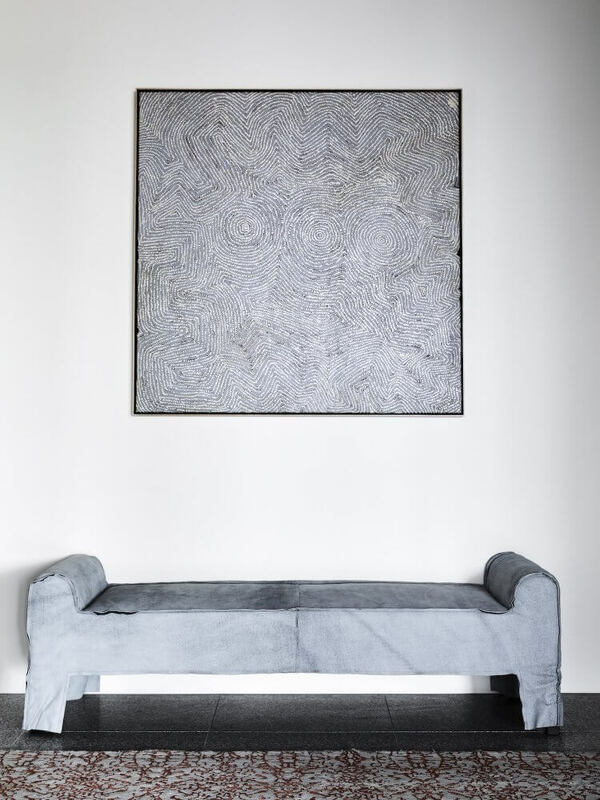 The interior consists of a mix of the owner’s existing furniture and art pieces, combined with a carefully curated array of new and antique objects to complement. One particular artwork that led the decisions made was Josh Yeldman’s ‘Bird Island’ artwork positioned above the fireplace. 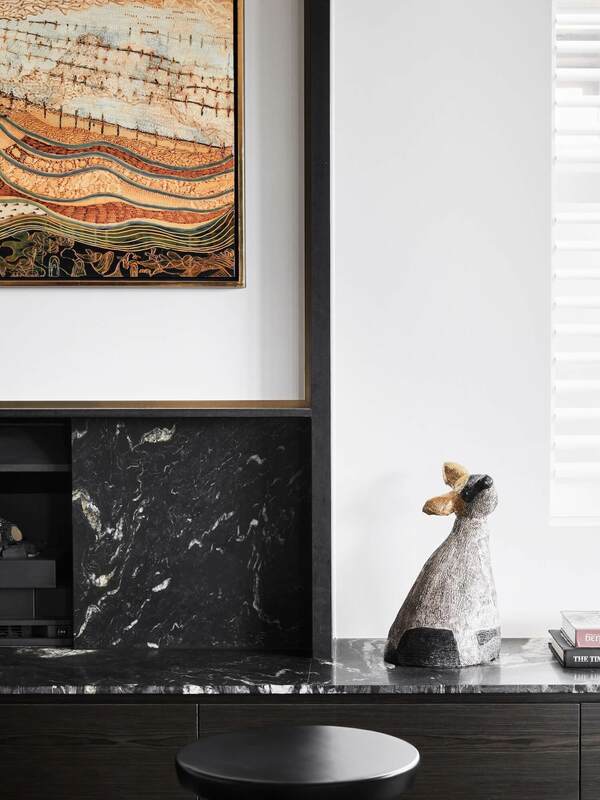 Other key pieces include the elongated Mathew Harding sculpture and ‘Black Tailed Swamp Wallaby’ sculpture by Peter Cooley, both proudly displayed in the living room. 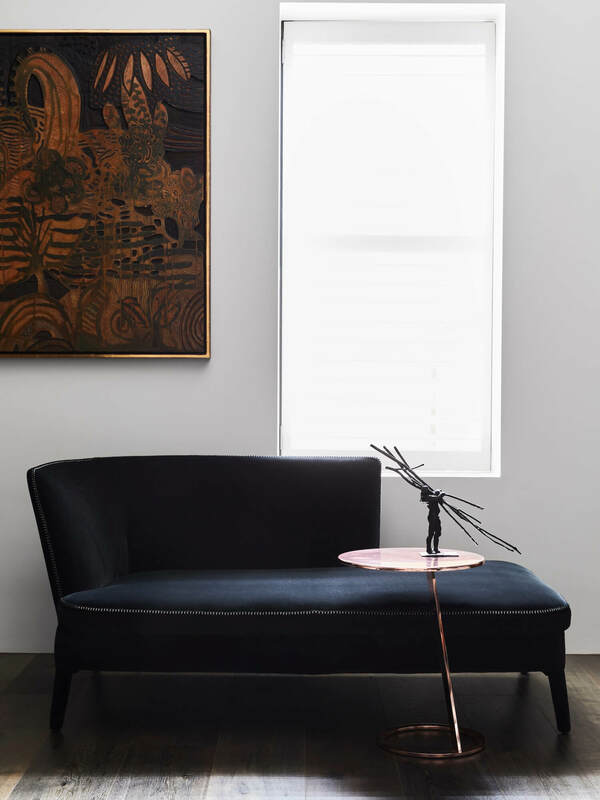 A high-calibre mix of furnishings exists here too – such as the Objekto Kaeko Coffee Table by Rafic Farah, the Arflex Ben Ben Sofa by Cini Boeri, available at Poliform and the 1950s Italian Armchairs from Modern Times. 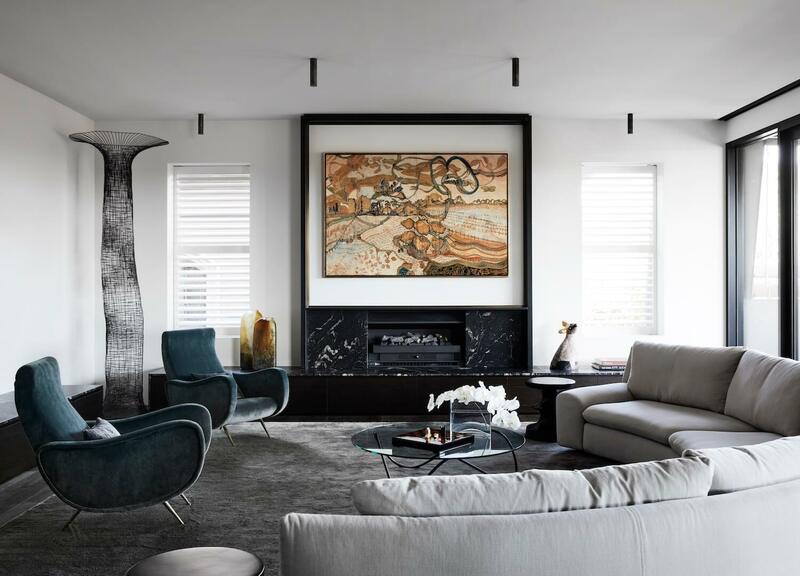 This polished inner-city apartment shows us downsizing is definitely not a dirty word. What the owner may have sacrificed in space they’ve made up for in serious sophistication and top-quality finishes, with all the modern luxuries to boot. 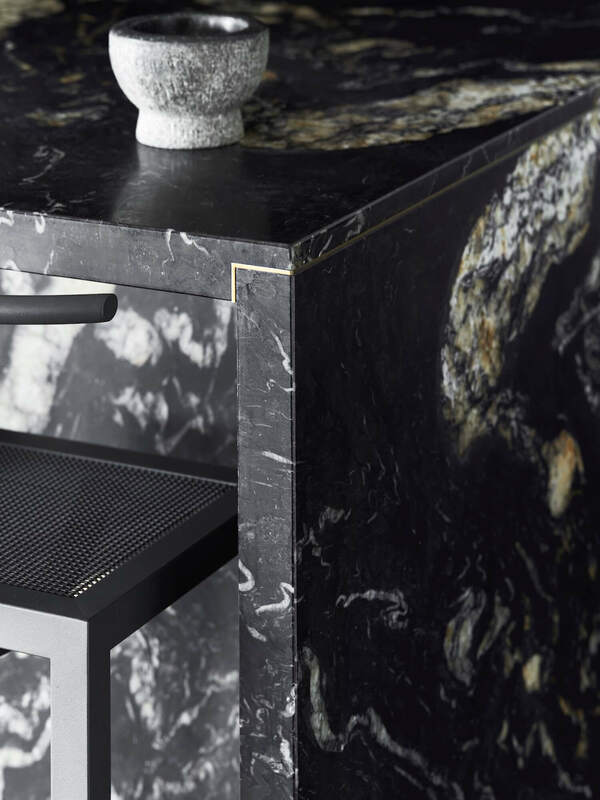 Summer Bench by Baxter available at Criteria Collection and Terrazzo tiles from Signorino Tiles and Stone. The post Domain House by Watts Studio appeared first on Est Living Free Digital Design Magazine.